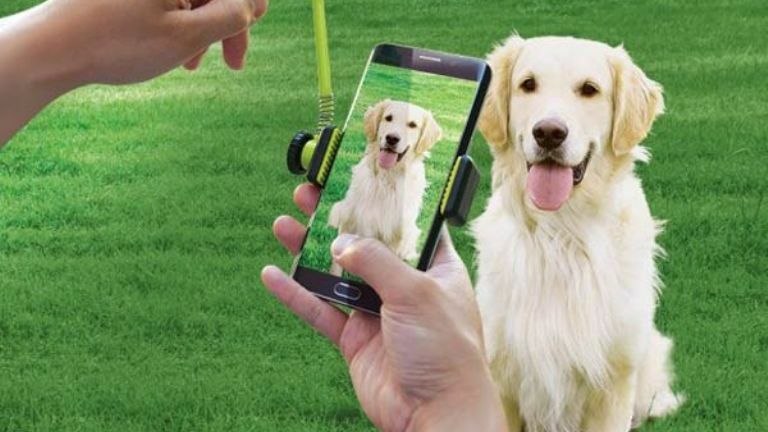 Fido is so cute but he just won't sit still for you to capture that picture, but with the Perfect Pic Treat Launcher, he'll sit still for perfect photos. Allow your dog to see you place a small treat into the treat scoop. While your dog waits for the anticipated treat snap the picture. Then pull back on the spring loaded scoop and release to launch the reward for a great picture. You'll get that perfect picture and he gets a treat!! Everyone is happy. Whether you're taking a selfie with your furry friend or snapping solo pics, capturing the perfect image is made easy. Fits any smartphone. Simply extend the cell phone clip and attach it to the cell phone - it's that easy.